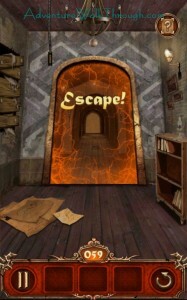 We have written a detailed walkthrough guide to help you escape all of the rooms in Escape Action. This strategy guide features the levels 56 through 60. 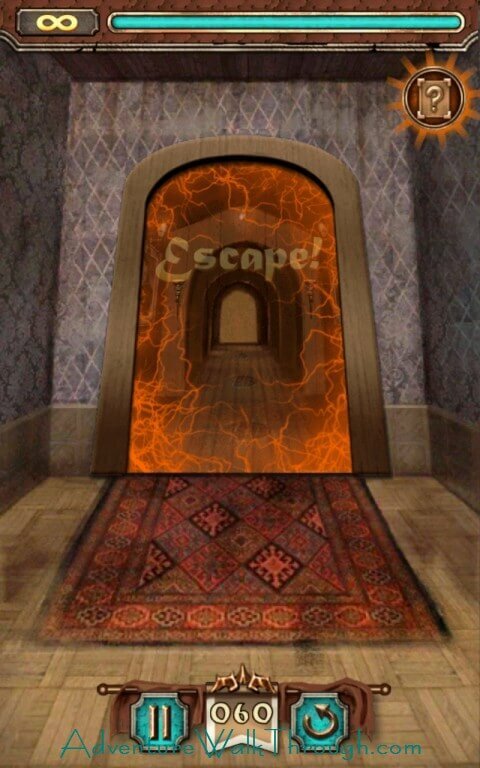 Please use this to help you pass all the rooms if you are stuck. Please leave comments if you are still stuck after reading our guide. 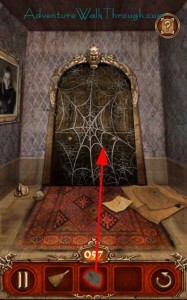 Check the trapdoors for a clue to open the lock of the room. The clue is hidden inside the trap door to the upper right. 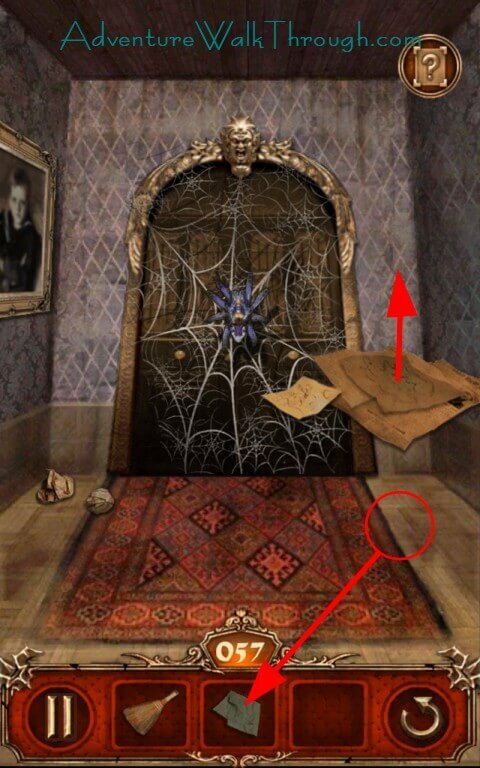 Take the crumbled paper and read it for the clue. 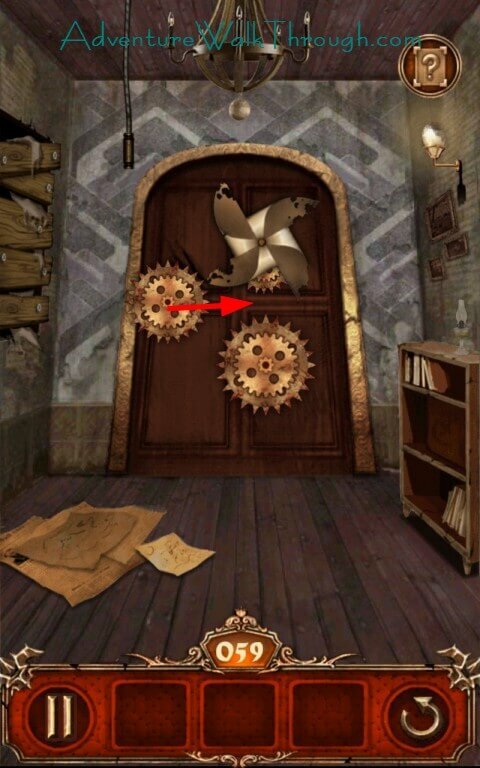 With the hint, move the flower with the following order: Right, Down, Up, Left. 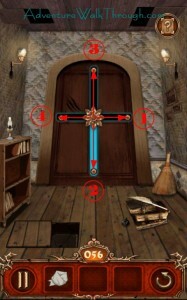 Make sure that the path is lighted as you move the floors. 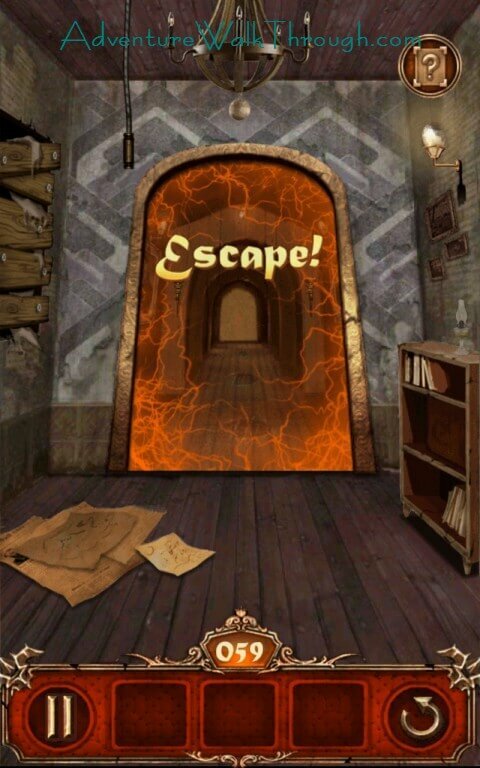 The door opens after you complete the sequence and you have escaped! 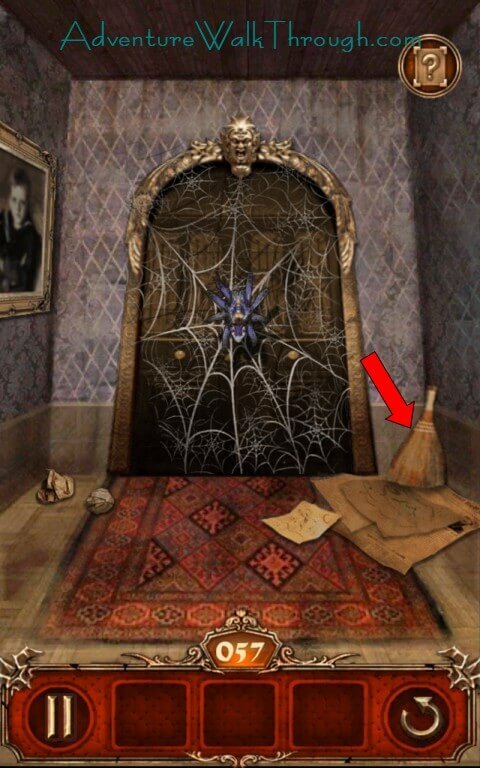 Pick up the broom. 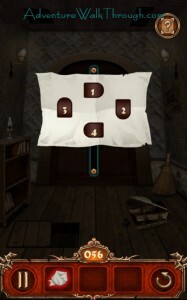 Obtain the rag after moving the newspaper up. 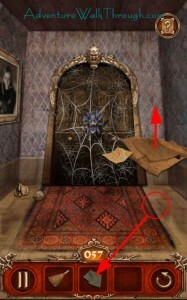 Use the broom on the spider to chase it off. 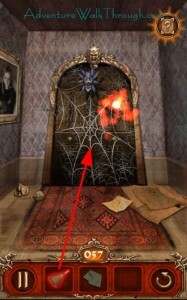 Use the rag and clear the spider web. 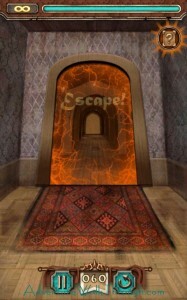 Make your escape with the cleared exit. 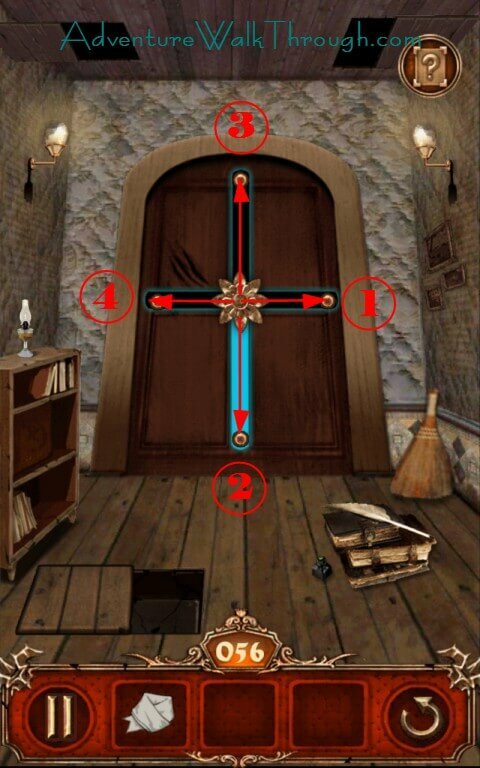 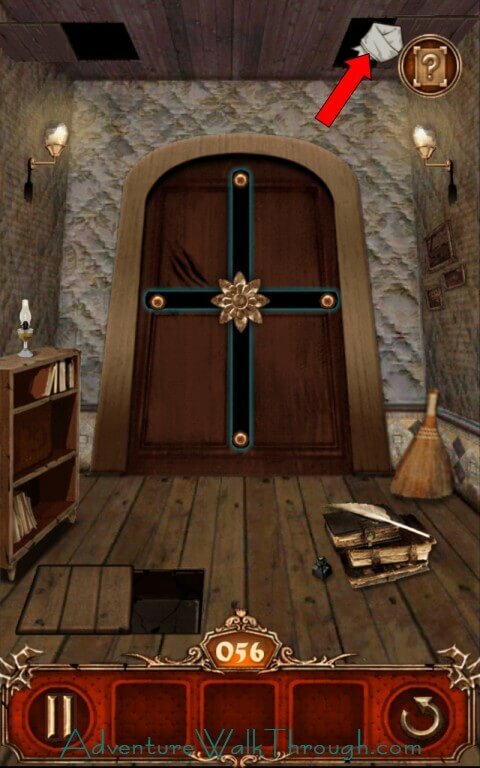 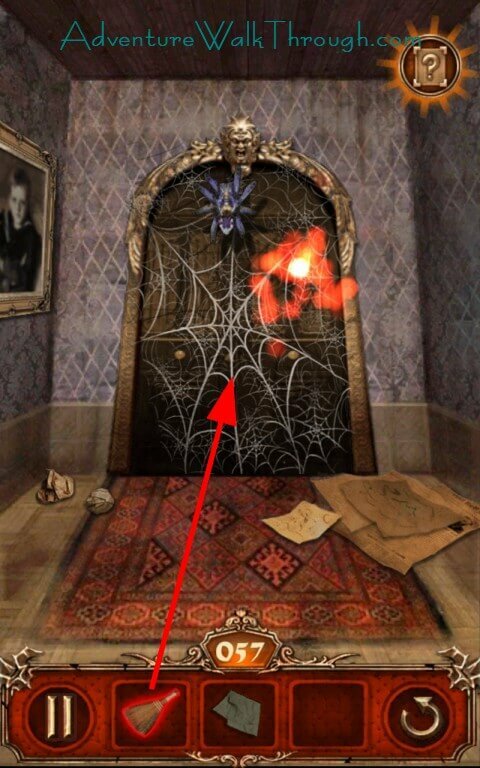 Observe the possible positions of the buttons and the “-1” clue at the top of the door. 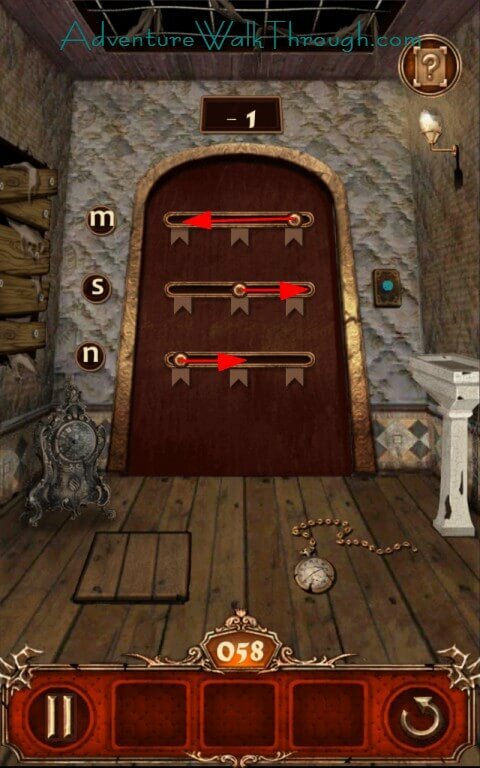 The buttons have three positions: Left, Right, or Middle. 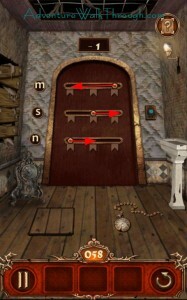 Place the buttons according to the position answers. 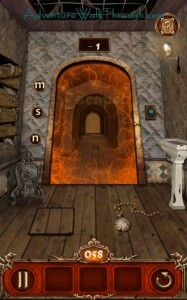 Press the button to open the door and escape. 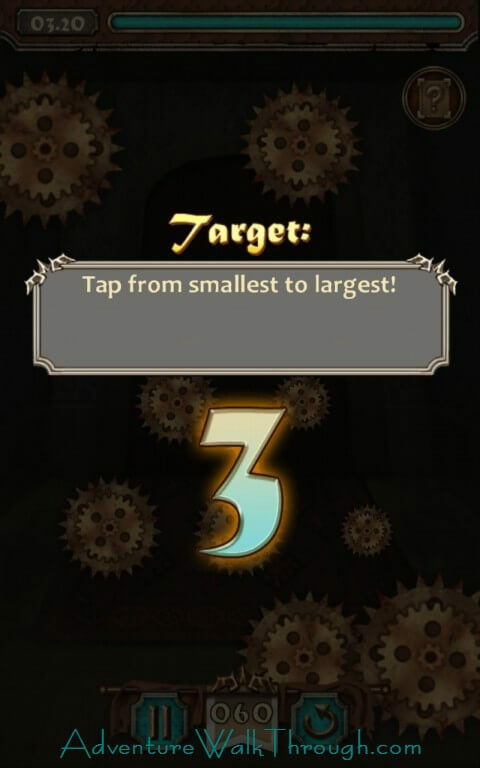 Tap and slide the middle gear from left to right. 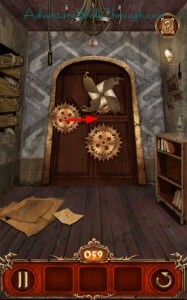 Move the windmill by blowing into the microphone of your mobile device. 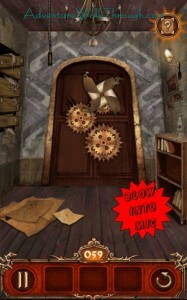 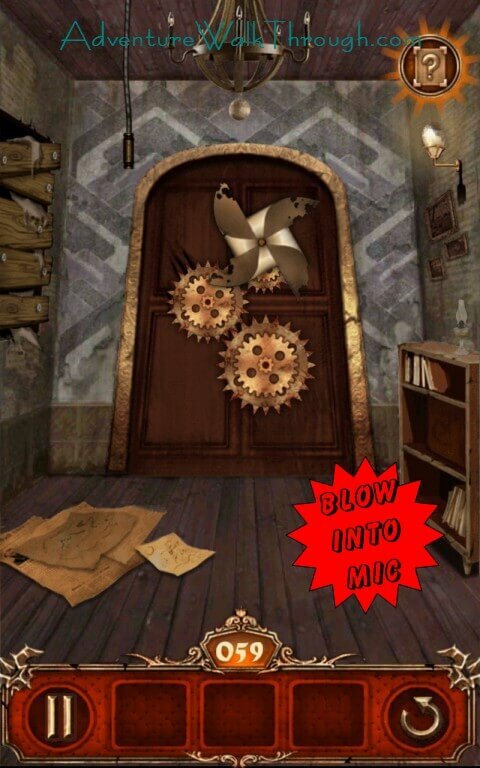 The door opens after you have blown enough and you can then escape from the locked room. 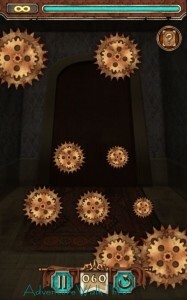 Tap the gears from the smallest to the largest within the time frame. 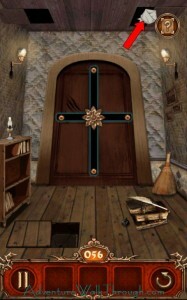 The door will then open and you can escape through.